ML the Messy Sleeper | What is ML Reading? 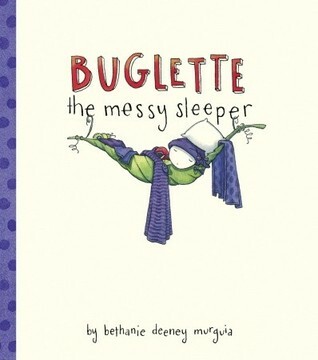 There is a book called Buglette the Messy Sleeper by Bethanie Deeney Murguia. In 2011, this book arrived at the library. I immediately took it home because ML is a messy sleeper. Rarely is she allowed to crawl into bed with me. However, she has a loft, which means I insist she climbs in bed with me anytime she feels queasy. Trust me! Cleaning vomit out of a loft at 3:00 a.m. is a nightmare. With daylight lasting longer, we are staying up later. In addition, summer is busy at the library. Last night, I heard footsteps. I felt a poke in the side. Then, I heard a little voice saying, “Mommy, I’m scared.” Usually, I talk to her and put her back in her bed. Last night in my exhaustion, I said, “Climb into my bed.” This morning, I remembered why she sleeps in her bed. My body is aching from being kicked and jabbed. 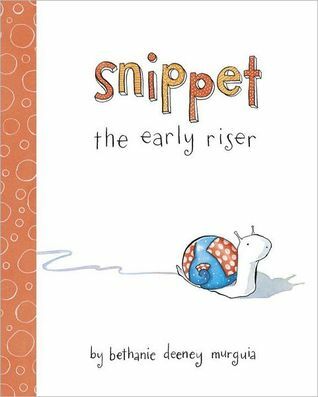 Another book by Murguia is Snippet the Early Riser. Thankfully, this is not ML. I’ll take messy over early any day of the week. . . especially Saturday mornings. This entry was posted in Picture Book by mlreads. Bookmark the permalink.